From a young age, 17-year-old Madison Horin wanted to be a basketball player like her mother. Little did she know that she’d become one of the best in the country as she wracks up assists and blocks in another sport. 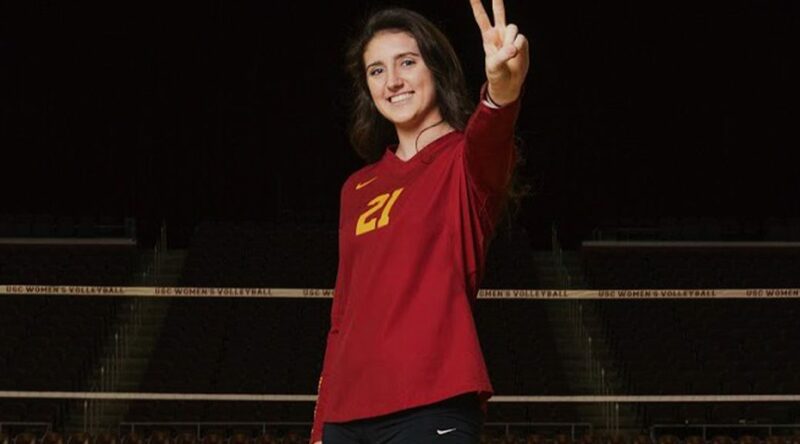 The 6-foot-3 middle blocker from Munster, Indiana, is set to take her volleyball career to the next level as she recently signed a National Letter of Intent to play at the University of Southern California. It took a lot of hard work for Horin to get to this point and committing to a nationally-ranked program. She began playing volleyball at 11 years old, but didn’t fall in love with it right away. Growing up in Beverly on the South Side of Chicago, Horin loved basketball and wanted to follow in the footsteps of her mother, Carrie, who went to the University of Illinois-Chicago on a basketball scholarship. But not making the top team at the club Michio, when she was first started playing travel volleyball, stirred a competitive nerve she decided to commit to the sport. She did more than just make the top team. Horin moved up in age, playing for the top 14’s team when she was supposed to play for the 13’s team based on her age. Once she realized her capabilities, Horin gave up her basketball career, choosing to pursue volleyball instead, quitting basketball altogether in seventh grade. From there, her volleyball career kept moving forward. Once her family moved to Munster, Indiana, when she was 13, Horin switched clubs, playing first for Epic United and then later with First Alliance. As she continued to grow as a player and become more well known, Horin was able to make other dreams a reality with her volleyball career. Following a series of tryouts, Horin made it onto the U.S. Girls’ Youth National Team, which traveled to South America to compete in the FIVB Women’s U18 World Championship for two weeks. While competing with the team last year, she received the coveted role of captain. But the girls met only two weeks before leaving to practice and prepare to compete at the highest level possible. Following the two weeks of practice, they spent two weeks in Argentina, Mexico and Brazil, playing against some of the best teams in the world as the team finished seventh in the tournament. Horin got a lot more of the experience than just placing high on the world stage. Along with all of these other accomplishments, Horin added Player of the Year to her already impressive resume. 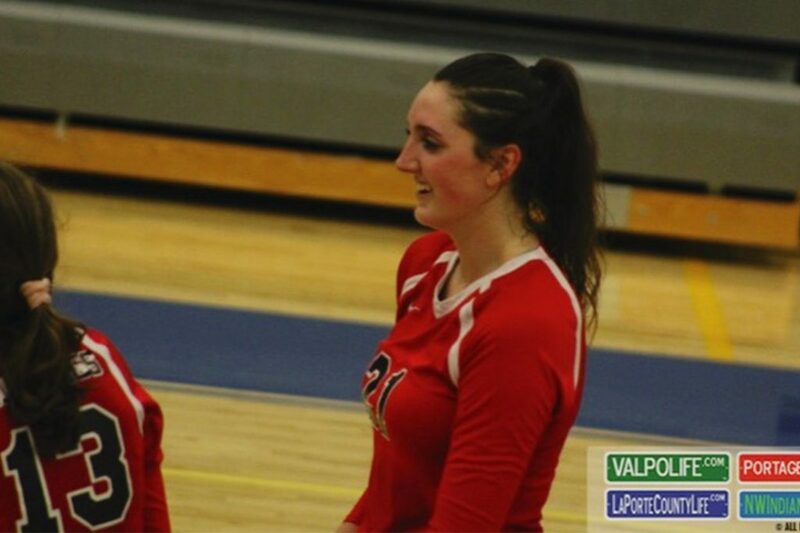 She finished the season with 310 kills, 70 aces and 88 blocks according to The Times. Now that Horin completed her senior volleyball season for Munster High School, it isn’t quite over yet. The volleyball standout also throws discus on the track and field team, and helps the community she’s in beyond athletics. The standout for the Mustangs received another individual accolade: Under Armour First Team All-American. For Horin, this was a goal she’d worked toward throughout her career, and in some aspects, was an accomplishment she viewed as a dream. When looking at the American Volleyball Coaches Association’s website, 793 girls were nominated for this honor, with only 24 making it on the All-America First Team. “I honestly can’t even put it into words,” Horin said. “Day in and day out, I was just doing my thing. Now that it’s all happening, it’s crazy. It means so much for me to receive the same award as women I’ve looked up to. This prestigious award means Horin will play in the Under Armour All-America game in Minneapolis Friday. But even as Horin continues to excel as a player, she stays grounded as she reminisces on her accomplishments and looks ahead to her future at USC. Photo at top: High school senior Madison Horin earned Under Armour First Team All-American honors and will attend USC to play volleyball in the fall. Photo courtesy of Madison Horin. Previous PostVolunteers write holiday letters to LGBTQ inmatesNext PostKeeping warm: Where do the homeless go when it gets cold?